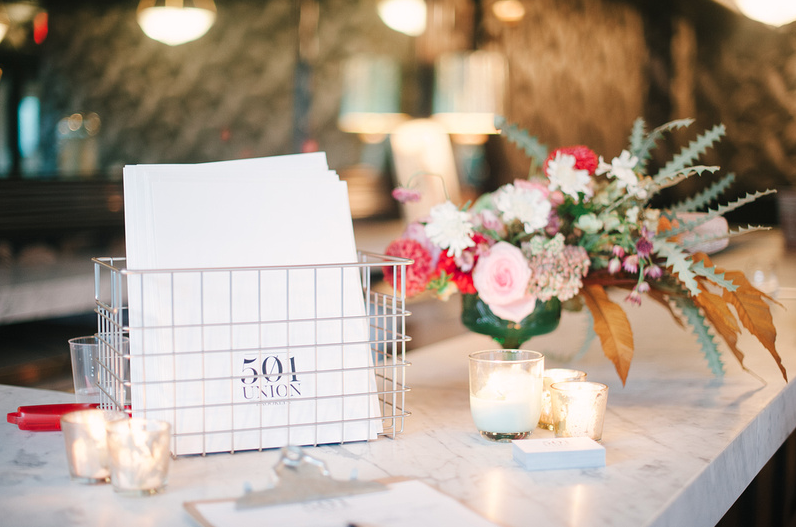 Last week I had the wonderful opportunity to be a part of the 501 Union open house event, what a gorgeous space! I had so much fun mingling with brides, grooms and fellow wedding industry professionals! Check out the whole scene below...and visit their website for info on future Open House Events! 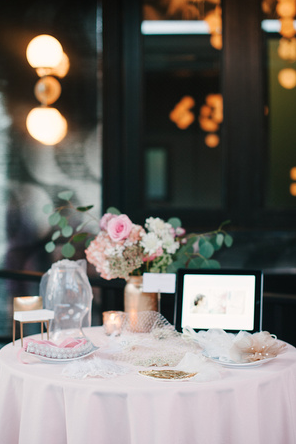 Thank you Jaine (Brklyn View Photography) for all of these beautiful images! Aren't these custom farm tables the space offer incredible?! Lindsay Rae Design was there too, LOVE her flower work! I spy cards from Sharon Becker > SBBeauty!